Rajab is a glorious month. It is in this month that there are major events for Muslims. The Isra 'Mi'raj event of Rasulullah (saw), the conquer of Baitul Maqdis Palestine by Salahuddin al Ayyubi took place in the month of Rajab. Also in this month, exactly on 28th of Rajab 1342 AH, a heartbreaking event took place: the abolition of the Khilafah system by Mustafa Kemal, a British agent cursed by Allah (swt). Since then, the Muslims Ummah have lost the important political institution to implement the Islamic law in a comprehensive manner that unites the Ummah and protects themselves and the religion of Islam. For this reason, Hizb ut Tahrir / Indonesia, held an agenda in the Month of Rajab to commemorate Isra Mi'raj of the Prophet Muhammad (saw), and at the same time to remind the Muslims Ummah of the obligation and needs of Muslims towards the establishment of the Khilafah. 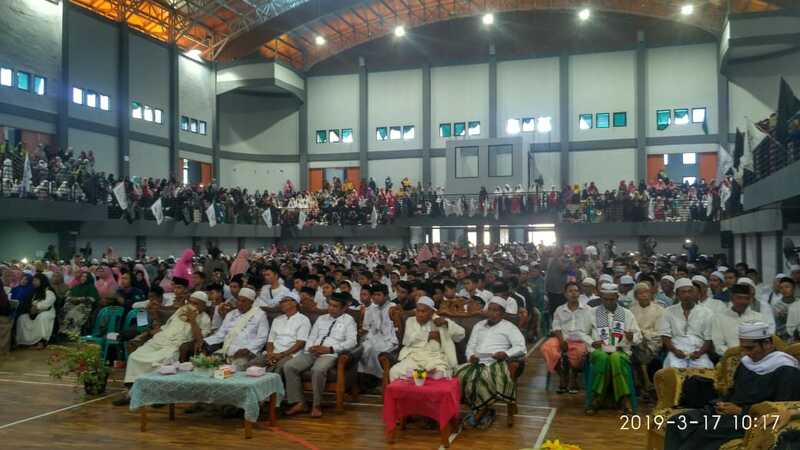 The event was simultaneously held in various cities throughout Indonesia on Sunday (March 17, 2019), in 34 provinces, from Banda Aceh to Papua. The event was attended by leaders and scholars who struggle together with Hizb ut Tahrir. In this event, the orators reminded again of the various problems of the Ummah due to the absence of the Khilafah, the obligation to establish it again, and the steps to be taken to fight for it. The participants were also asked to pray for the death of dozens of Muslims in New Zealand due to the inhuman acts of the terrorists who massacred the Muslims inside the mosques on a glorious Friday. Explained by the orators that this massacre took place not only in New Zealand but also elsewhere, due to the absence of the Khilafah (Caliphate) institution that protects Muslims.